In the past, fellow GLASS Explorers like Rafael Grossman and Heather Evans have demonstrated how Google GLASS can help doctors obtain important recommendations from other experts via live-streaming. PFO closures are usually performed in children and adolescents who have symptoms secondary to significant Right to Left shunts, in non-medical terms, significant non-oxygenated blood mixing with oxygenated blood. On occasion, secondary to anatomical changes in adulthood, a PFO which was not significant can turn into a defect which needs correction. Such was the case we recently encountered. A PFO closure is not something performed frequently in adults, and an even an expert interventional cardiologist could have accumulated 25-50 cases through their career. 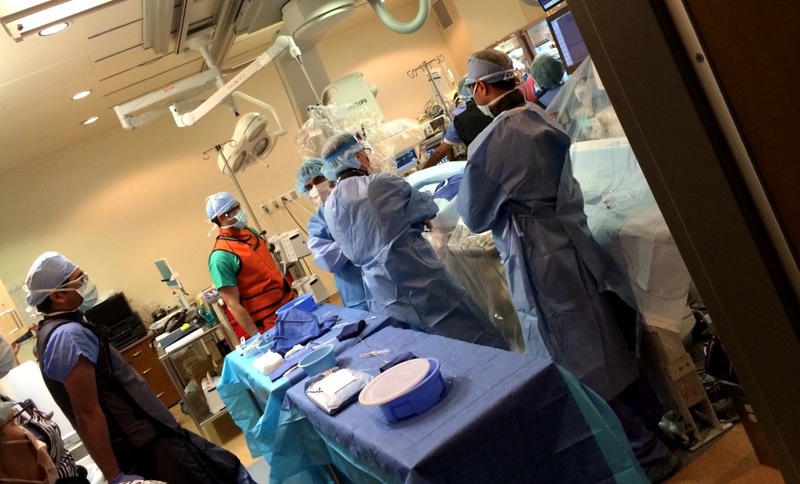 Even though the procedure could have been done safely by the operator, we decided to contact a pediatric interventional cardiologist, who performs this procedure more frequently. 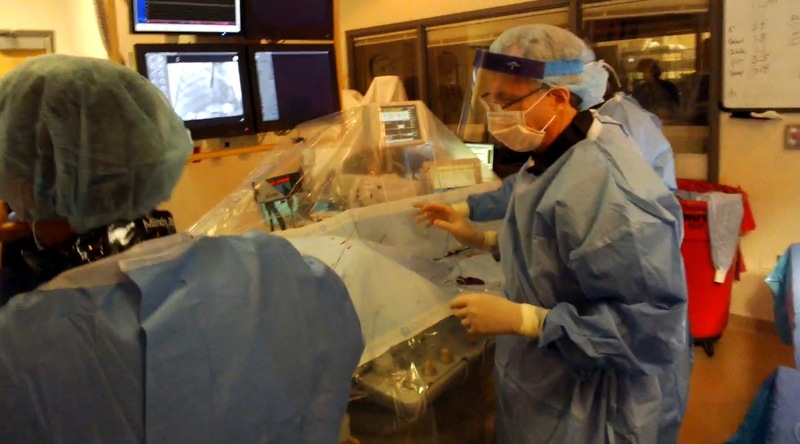 This is where we saw an opportunity to use of Google GLASS as a way of Livestreaming the procedure to the telementor and obtain his advice in real time. The next step was obvious, before anything, I spoke in detail with the patient (which by the way I will be disclosing his name soon because he wants me to do so as well as his family). I explained to him how we would use GLASS and Hangouts to stream the procedure to an expert who has abundant experience on PFO closures on children, and if needed he could instantly provide his advice. Needless to say, he understood the potential of such a dynamic and was excited to be part of it. Nov 19 the procedure occurred. We initially had planned to stream the hangout to the tele-mentor at Arkansas Children’s Hospital, but due to heavily leaded walls in the catheterization lab affecting the current data connection, and GLASS being a beta-gadget, we decided to have the expert nearby in case we needed him. Patient was anesthetized, intubated, and Transesophageal echocardiogram performed to guide the implantation of the Amplatzer closure device. Shortly after, access was obtained with a femoral sheath and the device was inserted and advanced to the left atrium across the PFO. At this point in time, the interventional cardiology team spotted a mobile artifact within the tip of the amplatzer highly suggestive of thrombus. These images were transmitted live to the tele-mentor who agreed on the diagnosis and suggested at this point to retrieve the device to avoid the possibility of a thromboembolic event. When the device was retrieved, we confirmed our suspicion, a thrombus in the tip of the amplatzer was observed. The tele-mentor further guided us on how to flush the sheath and adequately clean the thrombus from the device. At this point in time we decided to end transmission and ask the tele-mentor to come to the cath lab to provide further recommendations. 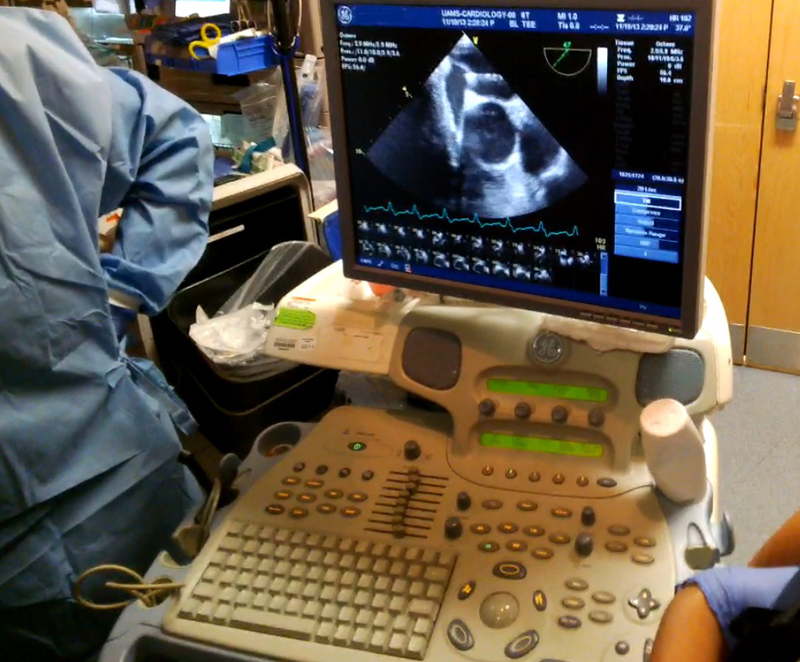 Soon after the device was reinserted, deployed with excellent angiographic, echocardiographic and physiologic results. Procedure was a success and patient was subsequently discharged with adequate arterial oxygen saturation, effectively treating his problem. After discussion with my colleague and Google GLASS pioneer Rafael Grossman MD, we agreed that this was the first time that the advice given by an expert through Google GLASS directly impacted and helped the decisions made in a medical procedure. We are working here in monterrey zambrano hellion with this tecnique tru telemedicine to asses and help ours ressidents in the ruural area to resolve many clinical problems in differents areas of medicine. Is the future of medicine. Zambrano hellion medical center monterrey nuevo leon mexico. .
Great to see this usage in clinical settings! Look forward to reading and seeing the more detailed article. Merry Christmas! Google GLASS timeline. Is Medicine embracing change quicker? Are we protecting patient information more than the patient?